Edit an existing Training Block that you have created. 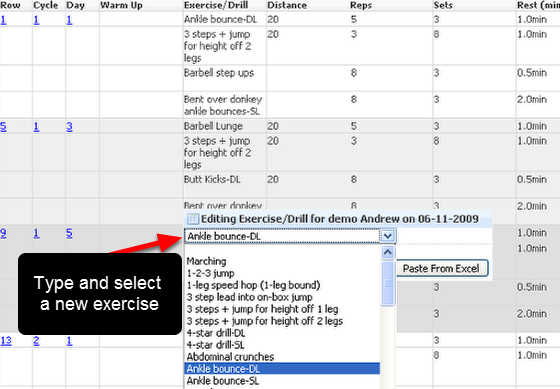 To edit a training block, select "Edit" and the plan will appear and users can make the necessary changes to the plan. Remember to click "Save and Close" to save the changes, or cancel to NOT save any changes.